Sounds crazy right.. ME... the big 18. 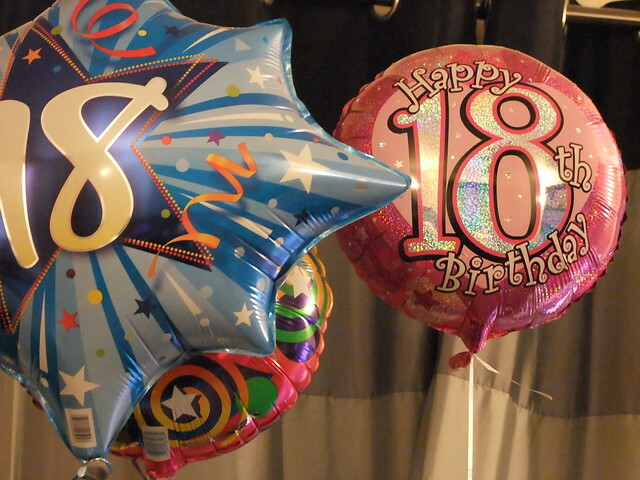 But, yes it's official i was 18 yesterday! When it hit midnight i went to a local club with a few friends, it's not exactly possible to properly celerbrate your birthday on a Sunday evening now is it! So i suppose i celerbrated it on Saturday evening from midnight onwards, and i'm celerbrating tonight too :) I did have a very good night though, minus the fact that i kept allowing people to buy me birthday drinks, and me being the naive moo that i am excepeted every single one. 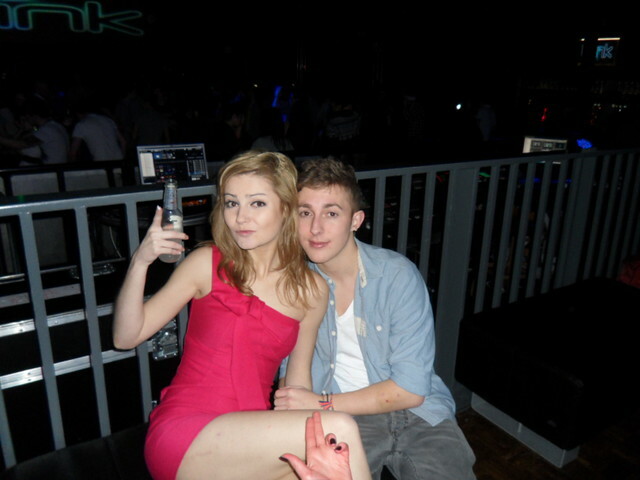 Me and the floor did meet once that night, and i have a very huge black bruise on my leg from where i fell, ohwell haha. Note to self courtney, do not mix your drinks, it never ends well! So yeah, i had an eventful night and i spent all of yesterday nursing a hangover, which i never really get, typical for me to get one on my birthday haha! Went for a lovely meal though which definately helped the head! I was totally spoilt present-wise... like majorly spoilt! I haven't take any photos as i had to move it all into my room asap to make sure the house is tidy for Dubai on Wednesday, but if i just give you an outline as to what i got, i'll take a few photos and post before i go away too though. - Fujiilm Finepix S200 EXR camera. - A toy that looks like Brody with a name tag on it! and some other bits & bobs, i literally bawled my eyes out, i was so over-whelmed with everything! Here are a few photos from my night out. I'm wearing a dress from Miss Selfridge. Sounds like you had a good time, happy late birthday! Happy belated birthday Courts!!! Glad you had fun and got some pretty sweet presents! Happy 18th birthday hun. Looks like you had great one.